Our experienced team of interior designers are on hand to advise you on any aspect of your interior design project, whatever size. After a home visit the Showroom usually provides the best environment for putting a scheme together and discussing ideas. We are then able to supply samples and sketches for you to take home. 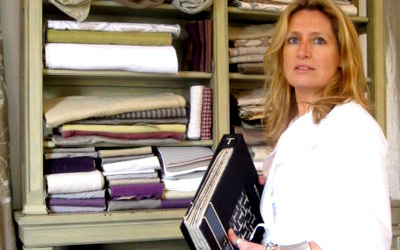 Paula, Clare and the team are on hand to help you with every aspect of your interior design project from start to finish. We have helped numerous clients achieve the home of their dreams, which is why clients of all types and size keep coming back to us year after year.